The Fontana table lamp 1853 Medio by Fontana Arte is the perfect light for cosy evenings. It can pretty well be combined with dark wood and vibrant colours and works as well as single lamp or with further Fontana 1853 lamps, because of its impressive but not intrusive appearance. The classic lampshade sits on top of a beautiful bulbous body. The Fontana table lamp 1853 Medio sets its very own accents. This table light has got a double-switching. The Fontana Arte lamp is completely white with a satinised, mouth-blown glass shade and body and a base made of painted metal. 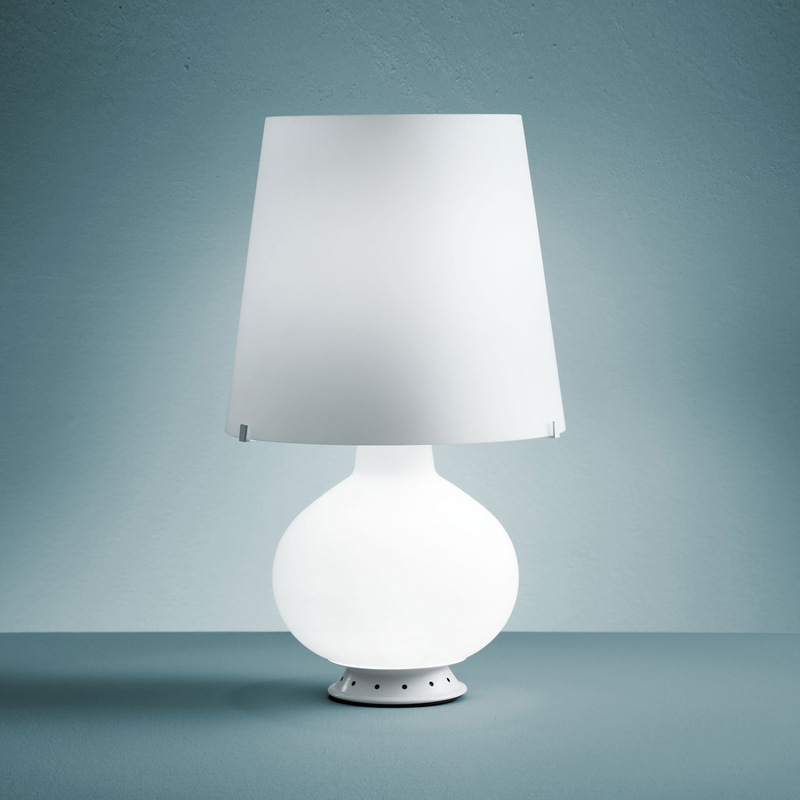 With its opal white glass the lamp provides a pleasant light and conjures a unique atmosphere. Cable and switch are both in black. The Fontana Table light 1853, designed by Max Ingrand, is also available in the sizes Piccolo (small) and Grande (large). The medium sized version suits living rooms well and can easily be combined with further accessories.